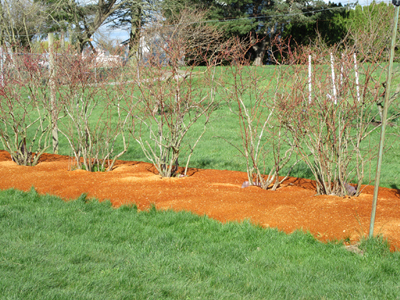 WWFRF has 129 bushes with 31 varieties which were planted in 1995 and moved to our garden in 2002. Plant longevity has been maintained through drip irrigation, mulching, ammonium sulfate fertilization and aggressive pruning. Blueberries have shallow-roots growing in the upper 18 inches requiring open, porous soil with a pH between 4 and 5. 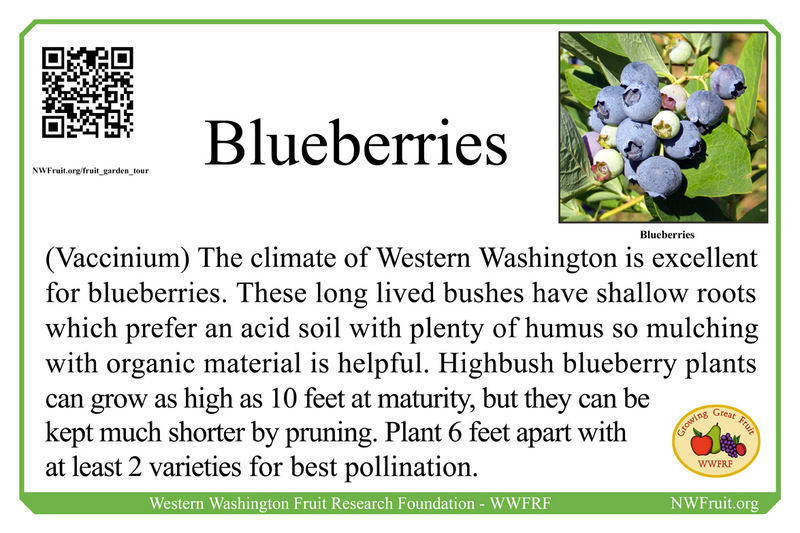 Most soils in Western Washington are sufficiently acid for blueberries. 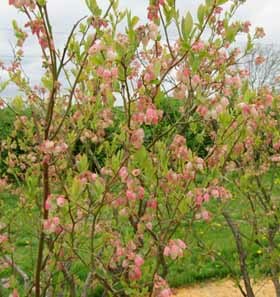 Planting several varieties for cross-pollination will result in larger, earlier fruit. Regular watering is important in the typical dry PNW summer weather. The first year or two after planting remove all flowers to allow the plants to settle into their new home. Since blueberries flower on 1 year old wood renewal pruning is needed for best size and flavor. After the bush is mature several older branches are cut down to the ground each year. Twiggy growth should be removed each year. Fertilize to encourage strong new shoots from the base of the plant, which will eventually replace older branches. Blueberry variety Reveille has attractive pink flowers and tastly, firm fruit. In mid-summer, shoot growth slows and several flower buds form on the new shoots for next year’s crop. Fruit turns blue before it is fully sized and ripe, so allow about one to 2 weeks after fruit turns blue before harvesting. 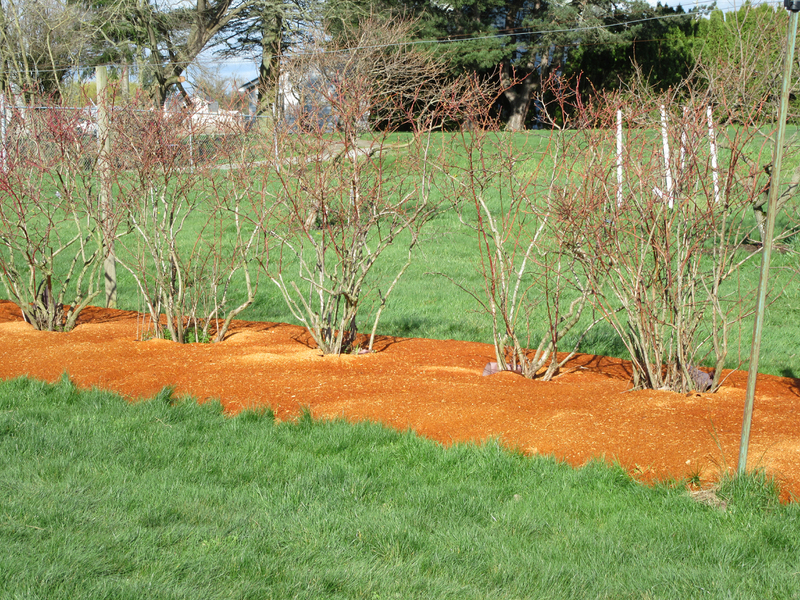 The blueberry beds were mulched by the volunteers in February, 2016 to suppress weeds and reduce mummyberry infection. Here is a video about how to scout for signs of mummyberries and apothecia. Oregon State University publication about mummyberry.